Beautiful colors. At first while the image was only partially loaded, it looked like a bright blue stream running through a field of grass. I love iris...I just wish they lasted longer. Fantastic color! You have a blue view too. Reminds me of a lady's courtesy. What a beautiful intense blue! That's a beautiful iris. Gorgeous color! Wow! It almost glows in the dark! Here's my Wordless Wednesday: Tea Time. Gorgeous! And it's remarkable how you captured both the top and underside of the yellow and white veining on the petals. Wonderful detail! Oh wow! 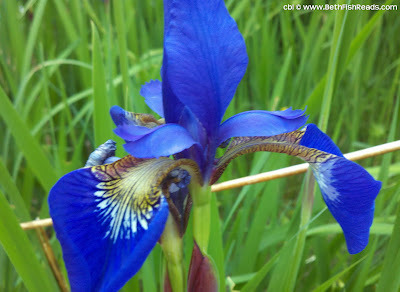 That blue is something else, and the myriad of other colors in the flower are also breathtaking. Great photo! THAT is beautiful! I love that blue! And Iris are one of my favorites. I love the vibrancy of color! I can almost smell the flower through the photo. What a striking blue! Nature is so colorful! My goodness, that's a beautiful shot. I sure am glad winter is finally over. So nice to see flowers again. The color on this iris is just amazing, so saturated. Beautiful! I don't think I've ever seen one that shade. 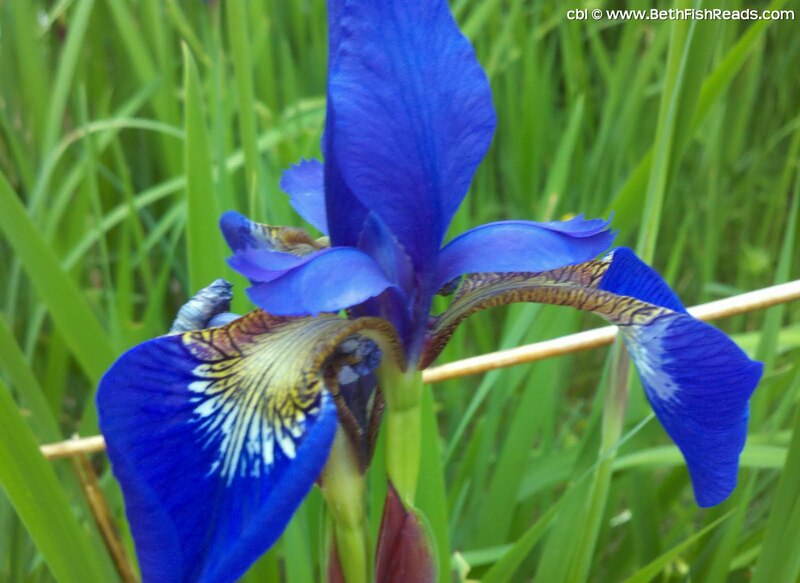 Brilliant blue color on the Iris. Did you enhance it digitally or do you just have a green thumb? Either way, love it. This is a beautiful shot! I love blue and the flower so pretty! Such a bold and beautiful color! Great shot! Mothering4Money: Nope, no enhancement. Except for a tiny bit of cropping this is exactly as it came out of the camera. I've never seen an iris so blue! It's gorgeous. Well done. It's amazing how detailed some flowers are. Such vivid colors too. The color blue is so vivid. I'm use to a more purplish color - stunning.